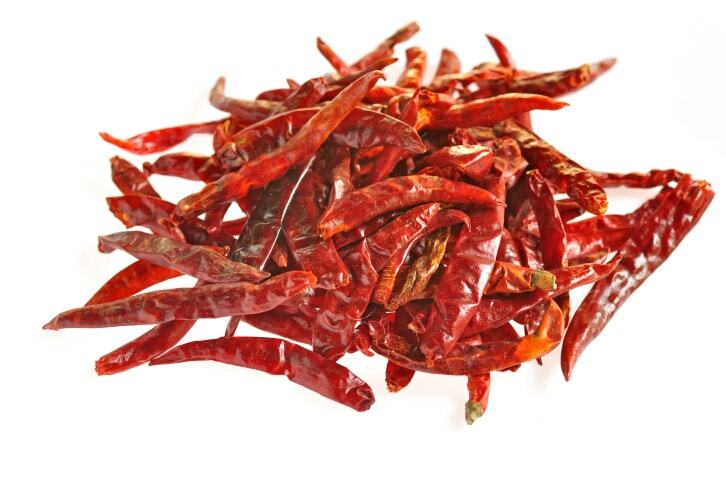 Rich wine red color, shriveled appearance and not so spicy, that's the definition of kashmiri chilli. 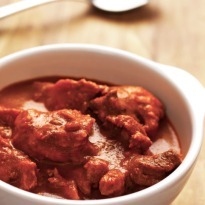 The kashmiri chilli is smaller, rounder and less pungent, but lends a very bright red color to the food. They are bred for their high color retention since they redden anything capable of absorbing color. 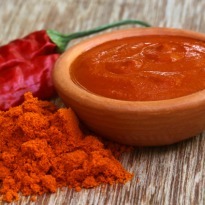 The kashmiri chilli powder is a blend of medium quality red pepper mostly used for tandoori dishes. 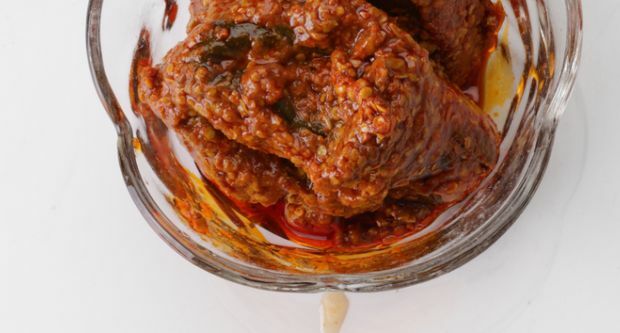 The roasted kashmiri chilli has a very pleasant aroma. It can redden anything that is capable of absorbing color like oil and surface of meat, etc. 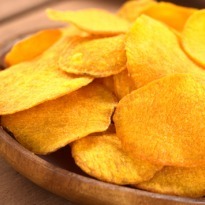 It has a high content of Vitamin A and C which boost immunity. 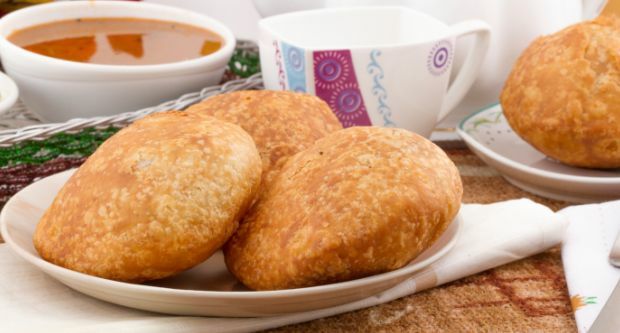 One of the most loved Indian snacks, this dal kachori is absolutely sensational. 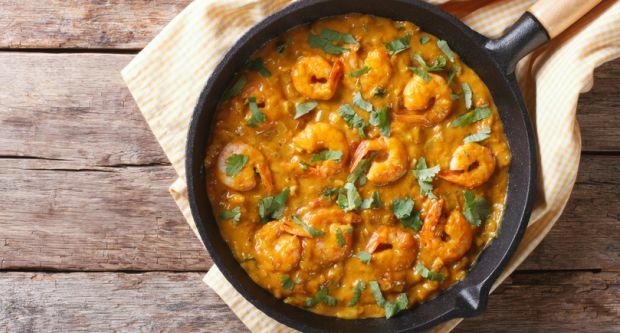 A smashing masala infused prawn curry you wouldn't want to share. Despite what the name suggests, Bombay Duck is actually a kind of fish native to the waters between Mumbai and Kutch. And yes, you can pickle that too. 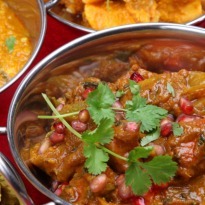 A hearty mutton recipe with crunchy onions, yogurt and a burst of spices. 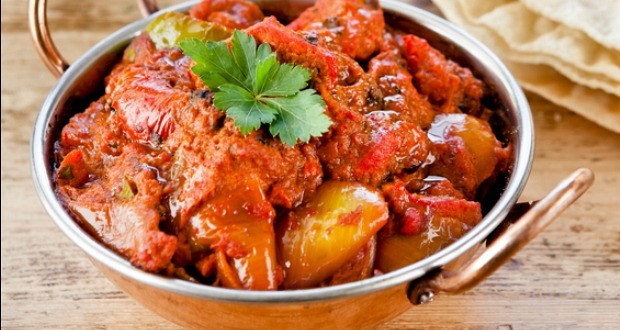 Stir fried lamb brain combined with a heartwarming gravy. 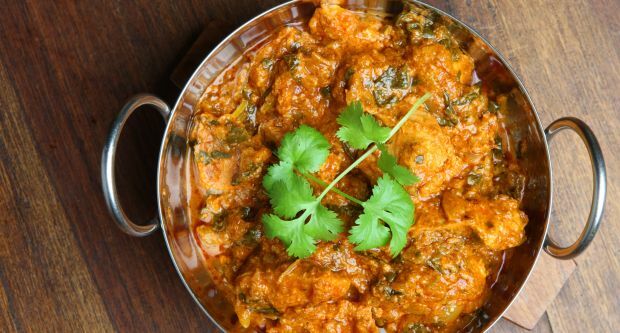 High on spices, this classic hit will win your heart with its spellbinding aroma and creamy texture. There is something more delicious that bacon crisped in butter. 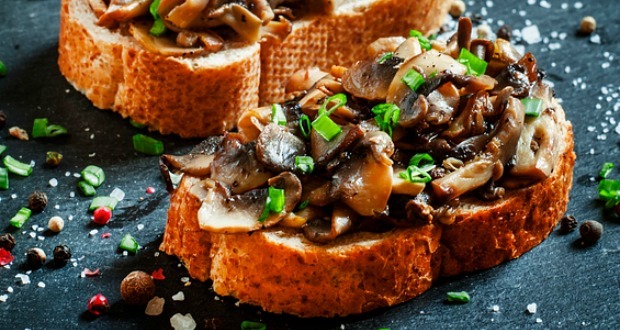 Fried bacon and mushrooms dipped in yogurt on buttered toast. Satisfyingly crisp and crunchy, make this much loved Indian snack at home. Aloo papads are popularly made during the festival of Holi.